**WOLF Viceroy Men’s Triple Watch Winder 6 Timepiece Storage Faux Leather Glass Door from allurez. Price: $1100.00. Discount: 50%. Categories: Watch, Boxes, Jewelry Storage, Sponsored. Deal Rating: 5 Stars out of 5. Store Rating: 5 Stars out of 5. Deal Recommendation: Recommended. Available Until: Limited Quantity. 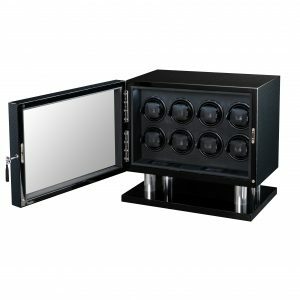 Thoughts: Clearance – WOLF Viceroy Men’s Triple Watch Winder 6 Timepiece Storage Faux Leather Glass Door. Deal Score: 80 out of 100. **Collectors Wooden Double Watch Winder and Watch Box Display Case from allurez. Price: $800.00. Discount: 50%. Categories: Watch, Boxes, Jewelry Storage, Sponsored. Deal Rating: 5 Stars out of 5. Store Rating: 5 Stars out of 5. Deal Recommendation: Recommended. Available Until: Limited Quantity. Thoughts: Clearance – Collectors Wooden Double Watch Winder and Watch Box Display Case. Deal Score: 80 out of 100. **WOLF Viceroy Men’s Double Watch Winder 4 Timepiece Storage Faux Leather Glass Door from allurez. Price: $775.00. Discount: 50%. Categories: Watch, Boxes, Jewelry Storage, Sponsored. Deal Rating: 5 Stars out of 5. Store Rating: 5 Stars out of 5. Deal Recommendation: Recommended. Available Until: Limited Quantity. Thoughts: Clearance – WOLF Viceroy Men’s Double Watch Winder 4 Timepiece Storage Faux Leather Glass Door. Deal Score: 80 out of 100. **14K Rose Gold Turquoise and Diamond Earrings from effyjewelry.com. Price: $1,825.00. Discount: 50% off. Categories: Jewelry, Sponsored, Earrings, Turquoise, Diamond. Deal Rating: 5 Stars out of 5. Store Rating: 5 Stars out of 5. Deal Recommendation: recommended. Available Until: not specified. Thoughts: not specified. Deal Score: 80 out of 100. 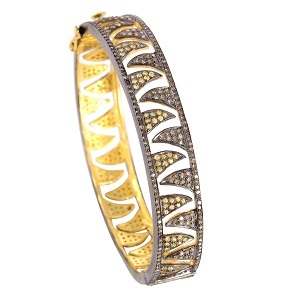 **Interlocking Claw Bracelet from ahalife. Price: $2,677.99. Discount: 50%. Categories: Fashion, Jewelry, Bracelet, Sponsored. Deal Rating: 5 Stars out of 5. Store Rating: 4 Stars out of 5. Deal Recommendation: Recommended. Available Until: Limited Quantity. Thoughts: 50% Clearance – Interlocking Claw Bracelet. Deal Score: 80 out of 100. **Ralph Lauren- Black Cashmere Lace Halter Top Sz L from currentboutique. Price: $598.99. Discount: $1396.01. Categories: Fashion, Woman, Clothing, Top, Ralph Lauren, Sponsored. Deal Rating: 5 Stars out of 5. Store Rating: 4.5 Stars out of 5. Deal Recommendation: Recommended. Available Until: Limited Quantity. 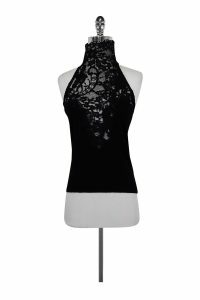 Thoughts: Clearance – Ralph Lauren- Black Cashmere Lace Halter Top Sz L. Deal Score: 100 out of 100. **Donna Karan- Cream Jersey Gathered Mesh Tank Sz L from currentboutique. Price: $498.99. Discount: $796.01. Categories: Fashion, Woman, Clothing, Top, Donna Karan, Sponsored. Deal Rating: 5 Stars out of 5. Store Rating: 4.5 Stars out of 5. Deal Recommendation: Recommended. Available Until: Limited Quantity. Thoughts: Clearance – Donna Karan- Cream Jersey Gathered Mesh Tank Sz L. Deal Score: 80 out of 100. **Stella McCartney- Magenta Pink Sequin Top Sz 4 from currentboutique. Price: $464.99. Discount: $930.01. Categories: Fashion, Woman, Clothing, Top, Stella McCartney, Sponsored. Deal Rating: 5 Stars out of 5. Store Rating: 4.5 Stars out of 5. Deal Recommendation: Recommended. Available Until: Limited Quantity. Thoughts: Clearance – Stella McCartney- Magenta Pink Sequin Top Sz 4. Deal Score: 90 out of 100. 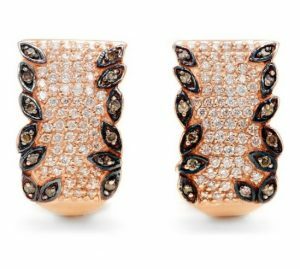 **Effy 14K Rose Gold White and Cognac Diamond Earrings, 0.67 TCW from effyjewelry. Price: $2697.50. Discount: 50%. Categories: Fashion, Luxury, Jewelry, Sponsored. Deal Rating: 5 Stars out of 5. Store Rating: 5 Stars out of 5. Deal Recommendation: Recommended. Available Until: Limited Quantity. Thoughts: 50% OFF Clearance – Effy 14K Rose Gold White and Cognac Diamond Earrings, 0.67 TCW. Deal Score: 80 out of 100. **Effy 14K White Gold Diamond Heart Dangle Earrings, 1.34 TCW from effyjewelry. Price: $2750.50. Discount: 50%. Categories: Fashion, Luxury, Jewelry, Sponsored. Deal Rating: 5 Stars out of 5. Store Rating: 5 Stars out of 5. Deal Recommendation: Recommended. Available Until: Limited Quantity. Thoughts: 50% OFF Clearance – Effy 14K White Gold Diamond Heart Dangle Earrings, 1.34 TCW. Deal Score: 80 out of 100. **Effy 14K Yellow Gold Black and White Diamond Flower Earrings, 1.40 TCW from effyjewelry. Price: $2497.50. Discount: 50%. Categories: Fashion, Luxury, Jewelry, Sponsored. Deal Rating: 5 Stars out of 5. Store Rating: 5 Stars out of 5. Deal Recommendation: Recommended. Available Until: Limited Quantity. Thoughts: 50% OFF Clearance – Effy 14K Yellow Gold Black and White Diamond Flower Earrings, 1.40 TCW. Deal Score: 80 out of 100. **Effy 14K Rose Gold Amethyst and Diamond Drop Earrings, 4.42 TCW from effyjewelry. Price: $1997.50. Discount: 50%. Categories: Fashion, Luxury, Jewelry, Sponsored. Deal Rating: 5 Stars out of 5. Store Rating: 5 Stars out of 5. Deal Recommendation: Recommended. Available Until: Limited Quantity. 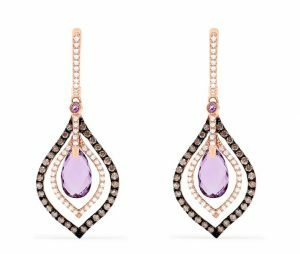 Thoughts: 50% OFF Clearance – Effy 14K Rose Gold Amethyst and Diamond Drop Earrings, 4.42 TCW. Deal Score: 80 out of 100. **Effy 14K Yellow Gold Multi Gemstone Mosaic Earrings, 6.84 TCW from effyjewelry. Price: $837.50. Discount: 50%. Categories: Fashion, Luxury, Jewelry, Sponsored. Deal Rating: 5 Stars out of 5. Store Rating: 5 Stars out of 5. Deal Recommendation: Recommended. Available Until: Limited Quantity. Thoughts: 50% OFF Clearance – Effy 14K Yellow Gold Multi Gemstone Mosaic Earrings, 6.84 TCW. Deal Score: 80 out of 100. **Effy 14K White Gold Yellow Sapphire Ball Earrings, 9.98 TCW from effyjewelry. Price: $3497.50. Discount: 50%. Categories: Fashion, Luxury, Jewelry, Sponsored. Deal Rating: 5 Stars out of 5. Store Rating: 5 Stars out of 5. Deal Recommendation: Recommended. Available Until: Limited Quantity. Thoughts: 50% OFF Clearance – Effy 14K White Gold Yellow Sapphire Ball Earrings, 9.98 TCW. Deal Score: 80 out of 100. **Effy Men’s 14K Two-Tone Gold Black and White Diamond Cuff Links, 1.18 TCW from effyjewelry. Price: $2,747.50. Discount: 50%. Categories: Fashion, Luxury, Men, Accessories, Cufflinks, Sponsored. Deal Rating: 5 Stars out of 5. Store Rating: 5 Stars out of 5. Deal Recommendation: Recommended. Available Until: Limited Quantity. 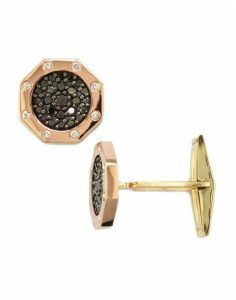 Thoughts: 50% OFF Clearance – Effy Men’s 14K Two-Tone Gold Black and White Diamond Cuff Links, 1.18 TCW. Deal Score: 90 out of 100. **Effy Men’s Black Diamond Cufflinks from effyjewelry. Price: $2,797.50. Discount: 50%. Categories: Fashion, Luxury, Men, Accessories, Cufflinks, Sponsored. Deal Rating: 5 Stars out of 5. Store Rating: 5 Stars out of 5. Deal Recommendation: Recommended. Available Until: Limited Quantity. Thoughts: 50% OFF Clearance – Effy Men’s Black Diamond Cufflinks. Deal Score: 90 out of 100. **Effy Men’s 14K White Gold Black and White Diamond Cuff Links, 2.94 TCW from effyjewelry. Price: $4,947.50. Discount: 50%. Categories: Fashion, Luxury, Men, Accessories, Cufflinks, Sponsored. Deal Rating: 5 Stars out of 5. Store Rating: 5 Stars out of 5. Deal Recommendation: Recommended. Available Until: Limited Quantity. 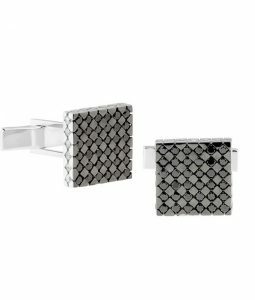 Thoughts: 50% OFF Clearance – Effy Men’s 14K White Gold Black and White Diamond Cuff Links, 2.94 TCW. Deal Score: 90 out of 100. **Effy Men’s 14K White Gold Sapphire and Diamond Cuff Links, 1.25 TCW from effyjewelry. Price: $2,247.50. Discount: 50%. Categories: Fashion, Luxury, Men, Accessories, Cufflinks, Sponsored. Deal Rating: 5 Stars out of 5. Store Rating: 5 Stars out of 5. Deal Recommendation: Recommended. Available Until: Limited Quantity. Thoughts: 50% OFF Clearance – Effy Men’s 14K White Gold Sapphire and Diamond Cuff Links, 1.25 TCW. Deal Score: 90 out of 100. **Effy Men’s 14K White Gold Sapphire and Diamond Cuff Links, 1.30 TCW from effyjewelry. Price: $2,247.50. Discount: 50%. Categories: Fashion, Luxury, Men, Accessories, Cufflinks, Sponsored. Deal Rating: 5 Stars out of 5. Store Rating: 5 Stars out of 5. Deal Recommendation: Recommended. Available Until: Limited Quantity. Thoughts: 50% OFF Clearance – Effy Men’s 14K White Gold Sapphire and Diamond Cuff Links, 1.30 TCW. Deal Score: 90 out of 100. **High Gloss Carbon Fiber Eight Watch Winder w/ Black Leather Interior from allurez. Price: $1495.00. Discount: 50%. Categories: Watch, Luxury Storage Box, Sponsored. Deal Rating: 5 Stars out of 5. Store Rating: 5 Stars out of 5. Deal Recommendation: Recommended. Available Until: Limited Quantity. Thoughts: Clearance – High Gloss Carbon Fiber Eight Watch Winder w/ Black Leather Interior. Deal Score: 85 out of 100. **Carbon Fiber 6 Watch Winder from allurez. Price: $949.00. Discount: 50%. Categories: Watch, Luxury Storage Box, Sponsored. Deal Rating: 5 Stars out of 5. Store Rating: 5 Stars out of 5. Deal Recommendation: Recommended. Available Until: Limited Quantity. Thoughts: Clearance – Carbon Fiber 6 Watch Winder. Deal Score: 85 out of 100. **Carbon Fiber Steel Gray 3 Watch Winder from allurez. Price: $549.00. Discount: 50%. Categories: Watch, Luxury Storage Box, Sponsored. Deal Rating: 5 Stars out of 5. Store Rating: 5 Stars out of 5. Deal Recommendation: Recommended. Available Until: Limited Quantity. Thoughts: Clearance – Carbon Fiber Steel Gray 3 Watch Winder. Deal Score: 85 out of 100. 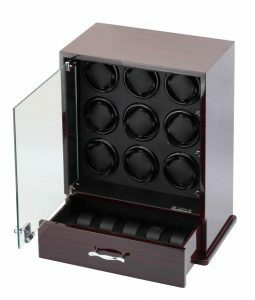 **Ebony Wood 9 Watch Winder and Watch Storage Box from allurez. Price: $1199.00. Discount: 50%. Categories: Watch, Luxury Storage Box, Sponsored. Deal Rating: 5 Stars out of 5. Store Rating: 5 Stars out of 5. Deal Recommendation: Recommended. Available Until: Limited Quantity. 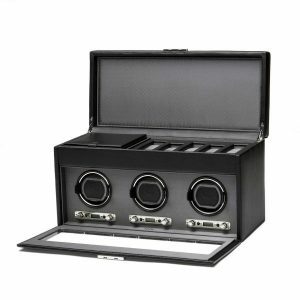 Thoughts: Clearance – Ebony Wood 9 Watch Winder and Watch Storage Box. Deal Score: 85 out of 100. **9 Watch Winder and Watch Case in Cherry Wood w/ Glass Door from allurez. Price: $1199.00. Discount: 50%. Categories: Watch, Luxury Storage Box, Sponsored. Deal Rating: 5 Stars out of 5. Store Rating: 5 Stars out of 5. Deal Recommendation: Recommended. Available Until: Limited Quantity. Thoughts: Clearance – 9 Watch Winder and Watch Case in Cherry Wood w/ Glass Door. Deal Score: 85 out of 100. **High Gloss Carbon Fiber Twelve Watch Winder w/ Black Leather Interior from allurez. Price: $2295.00. Discount: 50%. Categories: Watch, Luxury Storage Box, Sponsored. Deal Rating: 5 Stars out of 5. Store Rating: 5 Stars out of 5. Deal Recommendation: Recommended. Available Until: Limited Quantity. Thoughts: Clearance – High Gloss Carbon Fiber Twelve Watch Winder w/ Black Leather Interior. Deal Score: 90 out of 100.